Easy Come, Easy Go | when is a party not a party? Faithfull’s life echoed the course of rock ‘n’ roll itself, which started with the playful excitement of sock hops and Frankie Lymon and the Teenagers and dead-ended, for a time, in atonal melodies and concept albums—which is just another way of saying “experience.” By the ’70s, she had lost it all and was on the street, a junky cadging a dose. She turned whispery, desperate. We talked about her childhood growing up in a small town just north of Liverpool. Her mother was an Austro-Hungarian aristocrat, Baroness Erisso, whose great uncle, Baron Leopold von Sacher-Masoch, wrote Venus in Furs, the book that gave rise to the term masochist; her father was a British intelligence officer in World War II, later a professor of Italian literature. Despite this pedigree, her childhood was tough. Her parents split when she was six years old; there was never much money. 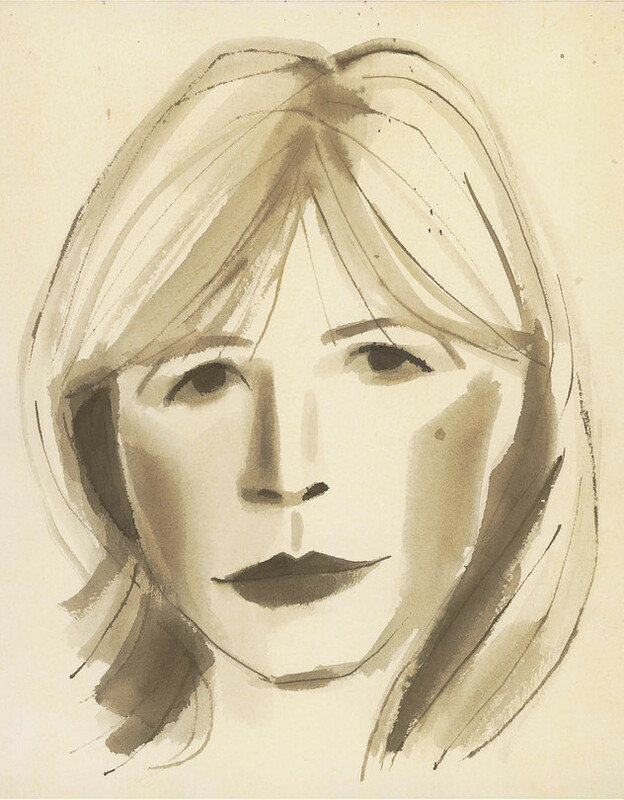 Faithfull was educated at a convent, where she learned the basics of this world and the next. Faithfull has rerecorded that song since, finding new resonance. She’s grown into the song’s sadness as she’s aged. It is the evening of the day. 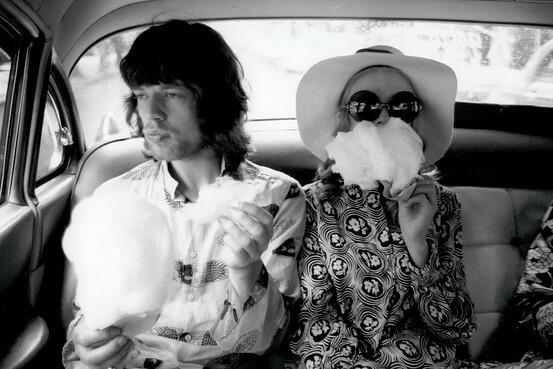 Faithfull has known Jagger and Richards since she was a girl and they were boys. Brian Jones, a founding member of the Stones, was dead before his 28th birthday, but she knew him in his last days. She was already in a serious relationship with a gallery owner named John Dunbar (his Indica Gallery is where John Lennon and Yoko Ono would first meet). She married Dunbar when she was 18, and the couple had a young son, which did not stop her from hooking up first with Richards, and then, later, in a more meaningful way, with Jagger. For a time, she drifted between Dunbar and Jagger, sometimes bringing her son along, sometimes leaving him behind. By 1967, she was connected in the public mind with Jagger. They were a reigning couple of the era, the F. Scott and Zelda of swinging London. For a time, tired of motels and theaters, she gave up touring for a life inside the Stones’ inner circle—the band had achieved a remarkable fusion of mainstream and avant-garde. They threw parties, took drugs and had so much fun. It was a golden moment that unfurled like a day that seems to never end, until it does. For Faithfull, the turning point, her Waterloo, came in ’67 with the drug bust at Redlands, Richards’s country home in Sussex, on the southern coast of England. It was a tabloid scandal that stands as a high watermark of the acid age: Jagger and Richards and various hangers-on getting bombed on LSD in the company of a woman who, because she was not named, became the mystery—the Miss X—at the core of it all. Faithfull was not arrested, but Jagger and Richards and two other friends were. There was a tremendous trial—almost a show trial—that cemented the Stones’ reputation as rock ‘n’ roll outlaws. Jagger and Richards spent a night in prison before public sentiment helped secure their freedom. Crucial was the publication of an editorial in the conservative London Times under the headline, “Who Breaks a Butterfly on a Wheel?” Though she was supposed to be ashamed, Faithfull showed up in court to support Mick and Keith but also to demonstrate her defiance. The psychic break came in the summer of ’69, when Brian Jones, who’d been kicked out of the band weeks before and was suffering from paranoia, drowned in a swimming pool. This began a run of dead rock stars: Brian, Jimi, Janis, Jim. They were all 27 when they died. After Jones’s death, Faithfull and Jagger flew to Australia to appear in Tony Richardson’s movie Ned Kelly, about an outlaw bank robber. Faithfull took sleeping pills before the flight, took more when she got to the hotel. At some point, she woke up, jet-lagged, walked dead-eyed to the bathroom and looked in the mirror. It was Brian’s face looking back. He beckoned her to join him inside the glass. The windows were sealed, so, instead of jumping, she took a fistful of pills and lay down beside the sleeping rock star. Days went by as she slept. In a dream, she met Brian, who told her how lonely he’d been. She walked him to the edge of nowhere, let him go. She woke up in a hospital with Mick and her mother at her side. “I had taken 150 Tuinals and was unconscious for six days,” she said. Jagger and Faithfull broke up. A short time later, while in a London taxi, she learned of Jagger’s engagement to Bianca Pérez-Mora Macias. Faithfull got out, got drunk, got arrested, and then spent the night in jail. From there, it was down the rabbit hole that led to the street. She lost touch with friends, family. Most painfully, she lost custody of her son. At times, she seemed like the ragged princess of the Dylan song “Like A Rolling Stone,” strung out on streets she once commanded like a queen. Yet, through it all, she remained true to her quest to sample every kind of experience. “For me, being a junkie was an admirable life,” she wrote later. “It was total anonymity, something I hadn’t known since I was 17. As a street addict in London, I finally found it. I had no telephone, no address. Nobody knew me from Adam.” Somehow, she survived. When she found her way back in 1979 with Broken English, it was with a new sound, a new voice—gritty, wizened, experienced. “It was another person you heard on that record,” Rampling said. “And it spoke so clearly about what she had been through and how she had lived.” A string of great records followed: Strange Weather; Before the Poison; Easy Come, Easy Go; Horses and High Heels. Her late albums are her best—powerful because they suggest a life beyond music—and stand as a distillation. The pure ingénue at the beginning of the ’60s, the hippie chick by the end; the heroin girl at the beginning of ’70s, the proto-grunge girl at the end—Faithfull has always been a personification of her time. These days, she stands for the rock ‘n’ roll generation grown old and dignified. “Marianne has lived so many lives already, and has many more to live,” Yoko Ono wrote in response to emailed questions. “She always keeps her chin up. As time goes by, she just gets better and better.” That’s her new record: chaos recollected in the calm after the storm.